Interior Illusions installs retractable pergolas and roof systems designed to withstand Melbourne’s tough climate. 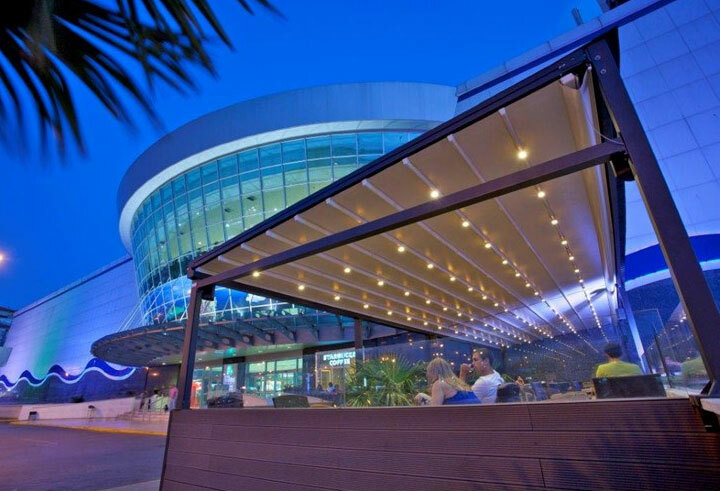 Retractable roof systems offer protection from the harsh Australian sun and heavy rain. In addition to making your outdoor living spaces more accessible, they also add a stylish touch to your property’s exterior. We offer an excellent range of commercial and residential applications to complete your outdoor entertaining area. Interior Illusions works to deliver high-quality retractable roof systems to clients across Victoria. The versatility of our product range makes it easy to find a suitable style of roof or awning for your property. Whether you need an electric awning for convenience or a retractable pergola to cover your outdoor dining area, all Interior Illusions retractable roof systems are engineered to provide effective sun and rain protection.Interior Illusions creates custom roofing systems for residential properties, shops, restaurants and more. Specialising in unique outdoor living solutions, they can transform any outdoor area into the ultimate entertaining space.Interior Illusions will make sure you’re able to enjoy all the benefits of your roofing system by managing the delivery and installation process. No matter how many awnings or pergolas you need, we can get them fitted quickly so you can start enjoying your outdoor area sooner. Interior Illusions takes the hassle out of designing and installing retractable roof systems. Unlike overseas suppliers who rely on cheap imports, our awnings have what it takes to withstand local weather conditions. We make our roof systems right here in Melbourne using durable, weather-resistant materials.If you want your retractable roof to stand the test of time, Interior Illusions can deliver a high-quality product. Your satisfaction is our priority, and we guarantee you will get only the most honest advice on your window furnishing needs.Our services include architectural drawings of your home with an Interior Illusions outdoor system, including lighting. Our specialised installers are extremely proficient, meticulous and knowledgeable when it comes to installing retractable roofing systems. You can trust them to deliver an exceptional standard of craftsmanship every time. For the best price, service and installation on your outdoor window furnishing needs in Melbourne, contact Interior Illusions to arrange a free quote today.